We’re kicking off our playthrough of the NES Classic Edition library on this episode! 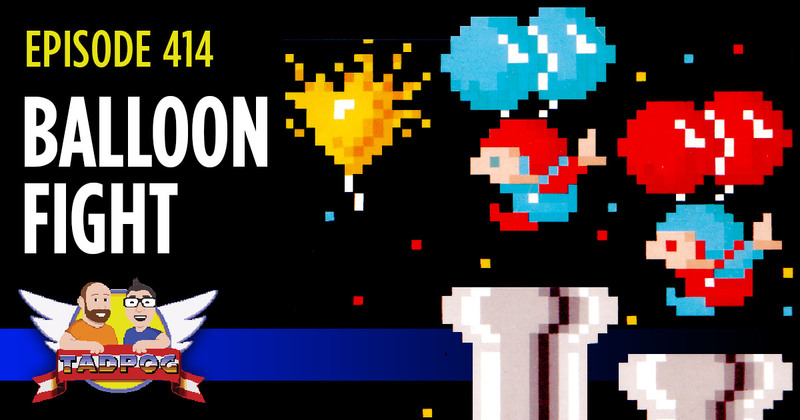 The first game up for discussion is…Balloon Fight! Tyler has a couple of great announcements. We define Tylerance. We talk about roommates who shave their body parts. There is a quiz! Don’t you miss an episode! Subscribe to TADPOG on iTunes. Find us at tadpog.com or facebook.com/tadpog and our back catalog on our Soundcloud let us know what you think of the show. Call 270-883-2555 and leave us a voice mail. Relevant or not, we don’t mind. You could also text us. We’re down for that. Leave us an email at either tyler@tadpog.com or dave@tadpog.com, you could try tyler@dave.com but no promises. Feel like helping out the show? We have a Patreon at www.patreon.com/tadpog if you feel so inclined. Our regular theme song is Moves by Sycamore Drive and is used as our intro/outro under a Creative Commons Attribution-Noncommercial-Share Alike 3.o United States License.